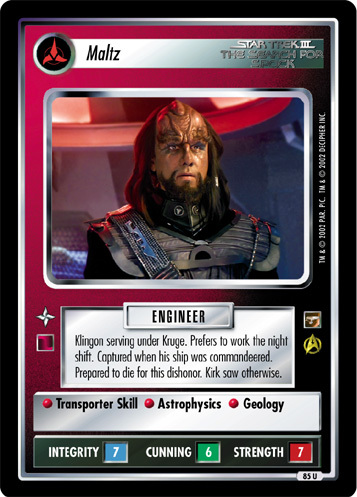 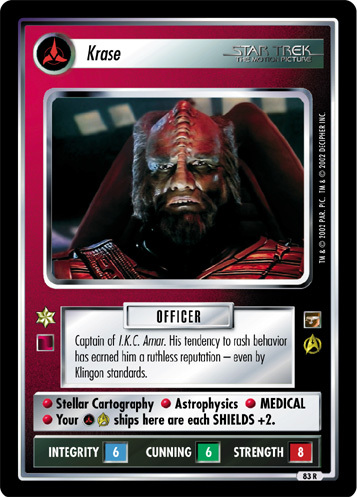 Klingon commander with a festering hatred of the Federation. 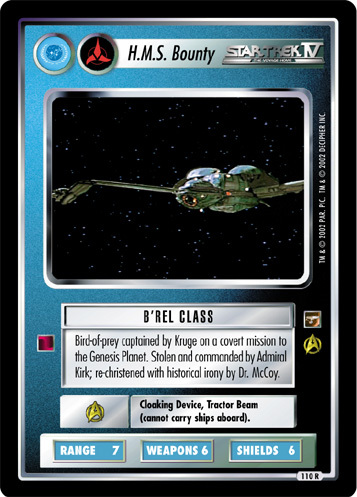 Attempted to seize the secret of the Genesis weapon - the secret of ultimate power. 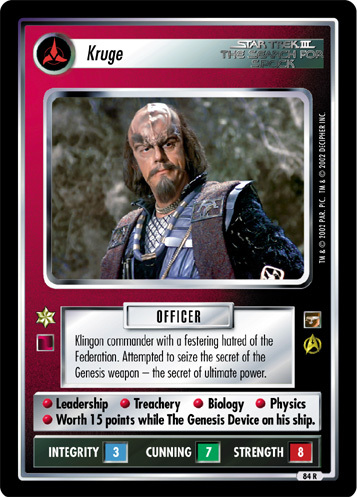 • Leadership • Treachery • Biology • Physics • Worth 15 points while The Genesis Device on his ship.